Daniel Haack began writing at a young age, although much of his earliest work centered exclusively around his desire to be a swashbuckling hero. Like the Prince and the Knight, he just wants to save the day and get the boy, too. 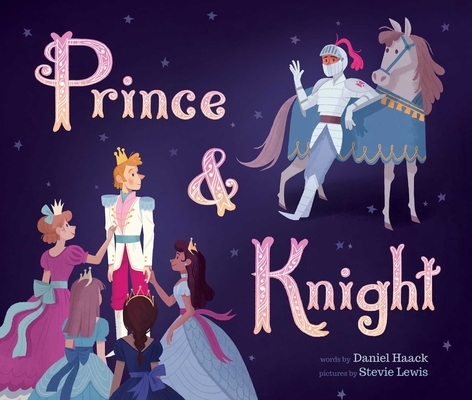 He has since written for various publications and collections, and Prince & Knight is his debut children's book. He graduated from Ithaca College and now works in children's educational media, for which he won a Daytime Emmy Award. Originally from Mount Horeb, Wisconsin, and formerly a New Yorker, Daniel now lives in Los Angeles, California. Find out more about Daniel at danielhaack.com. Stevie Lewis has been living on the road for the past two years, furthering her passion for climbing, art, and the outdoors. Striving to live simply and tread lightly on the earth, she gathers inspiration from a variety of adventures, be it climbing in the high desert in central Oregon, hiking in the wilderness of Alaska, or sharing laughs with fellow travelers around a campfire. After working for four years in animation, she now illustrates children's books and creates art based on her travels. Find out more about Stevie at chocosweete.com.